PEPEEKEO, Hawaii Island – It’s a good thing East Hawaii receives a lot of rain because a massive amount of water will be needed to cool a wood-burning power plant scheduled to open here in December. Hu Honua Bioenergy’s 21.5-megawatt plant will extract 21.6 million gallons of nondrinkable water daily from wells, circulate it once past a steam turbine and other equipment, and then re-inject it into the ground, according to company documents. That would be enough to fill almost 33 Olympic-size swimming pools. The plant scheduled to open in the December would burn 30 truckloads of eucalyptus trees daily. Project critics claim that adding trace amounts of chemicals, some of which are hazardous, to the heated water and then pumping it 400 feet below the ground will kill near-shore marine life, possibly pollute drinking water sources and could destabilize sea cliffs about 50 yards downslope from the plant. Portions of the cliffs recently collapsed from the 50-plus inches of rain from Hurricane Lane, sending tons of debris into the ocean and likely onto any coral living there. “I don’t see why we have to sacrifice our aquifer, sacrifice our land and sacrifice our air to somebody who doesn’t even live here,” project opponent Koohan Paik-Mander said of the plant’s new California-based investor. 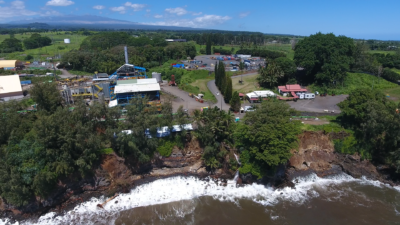 Up to another 24,500 gallons of “reject” water containing too many impurities will be discharged daily, along with fewer than 10,000 gallons of combined water from the plant’s boiler and cleaning operations, according to Hu Honua documents. Cliffside erosion is evident below the site of the power plant in Pepeekeo. “That’s the same as from any steam plant,” Hu Honua President Warren Lee said. Hilo and Keahole plants run by Hawaii Electric Light Co., the Big Island’s power utility, operate the same way, said Lee, a former 18-year HELCO president. 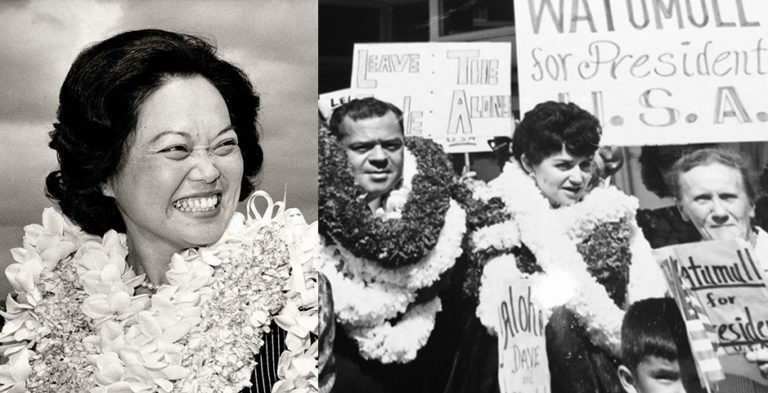 Another big water consumer was Hilo Coast Power Co., which ran a 21.5-MW coal-fired facility on the same site as Hu Honua’s Pepeekeo plant for more than 30 years before closing in late 2004, according to Lee. Hu Honua is rebuilding that old plant, he said. But while the former operation produced toxic ash, some of which flowed into the nearby ocean, triggering fines, it’s the new one that’s generated the most objections, including two lawsuits. 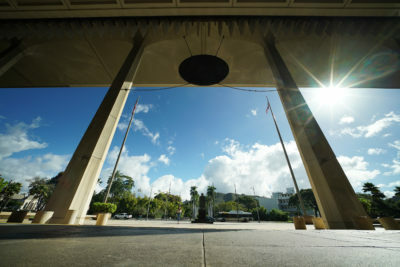 The state Public Utilities Commission’s approval of a power-purchase agreement between Hu Honua and HELCO has been appealed to the Hawaii Supreme Court. The environmental group Life of the Land filed the challenge, alleging the PUC failed in its legal mandate to address greenhouse gasses the plant will emit by burning eucalyptus trees. The PUC granted HELCO permission to buy all of Hu Honua’s electricity – projected to be enough to power 14,000 Big Island homes – after Hu Honua in May 2017 settled a federal antitrust lawsuit it brought against the utility. 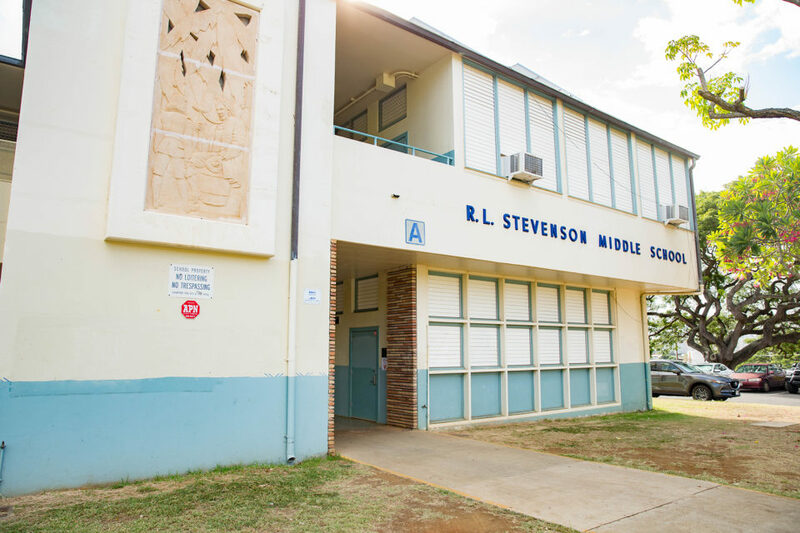 Hu Honua sued after HELCO terminated an earlier contract because Hu Honua had failed to open by an extended deadline of March 1, 2016. 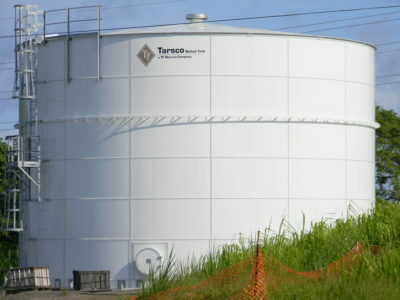 One of the water tanks Hu Honua will use in an operation that will deliver 21.6 million gallons of nondrinkable water to the plant each day for cooling purposes. 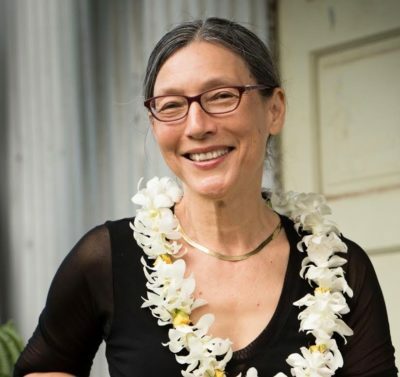 Pending in Big Island Circuit Court is a lawsuit Claudia Rohr, a Hilo resident and bed-and-breakfast owner, filed last November against the Hawaii County Planning Department for not requiring the project to undergo an environmental impact statement or a lesser environmental assessment. 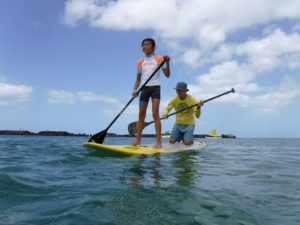 “My concerns have to do with my perceived injuries,” Rohr said of lost tourism revenue she thinks will result from trucks delivering logs to the Pepeekeo plant and her related allegation that pollution from the plant will hurt fish she likes to catch from cliffs makai of the facility. 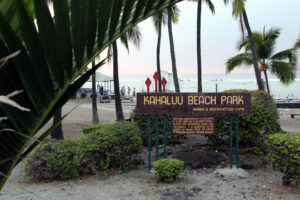 County planning officials maintain Hu Honua doesn’t need either environmental review because its work and location comply with a special area management permit for near-shoreline activities issued in 1985 to HCPC, the old operator, and then modified in 2011, according to local news accounts. 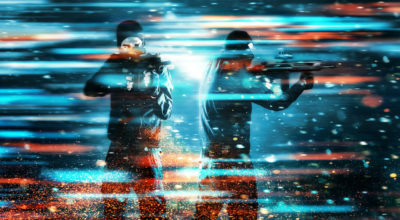 “I appear to be the only one that is willing, you know, to demand they give up answers,” Rohr said of the new operators. Hu Honua’s motion to dismiss the case is scheduled to be heard Sept. 20. 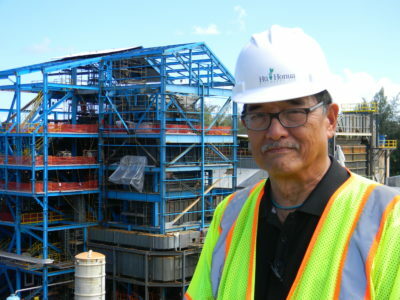 Hu Honua President Warren Lee says the company’s Pepeekeo power plant will provide enough electricity to power 14,000 Big Island homes. 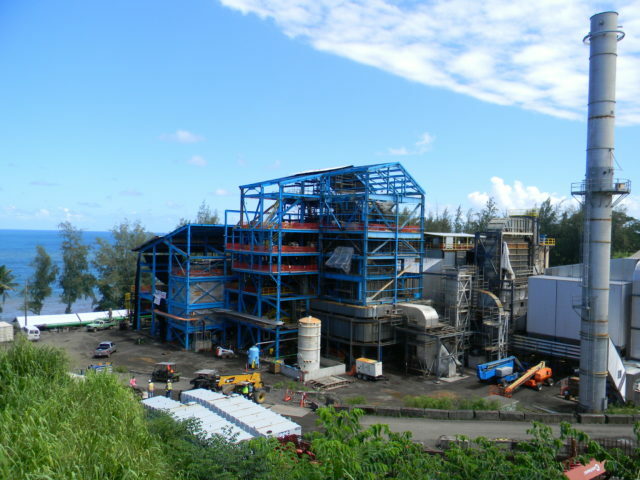 Hu Honua’s Lee said the plant will comply with all applicable regulations, while the company will grow more trees than it burns to create a carbon-neutral operation that will save Big Island electrical customers more than $100 million over 30 years, the length of its contract with HELCO. Left-over ash will be made available to local farmers, while the operation will generate 190 jobs, including about 35 people needed to run the plant, he said. He said plant construction is costing more than $200 million. Hazardous chemicals such as morpholine, carbohydrazide and sodium nitrate, which carry manufacturer’s warnings against mixing in waterways or aquatic ecosystems, will be added to water sent to the plant’s boiler to control acidity, prohibit corrosion and prevent scale buildup, according to information Hu Honua filed in February and later revised in May with its application for an underground injection control permit. 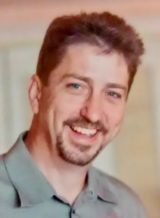 “Concentrations of each additive will be adjusted as necessary to maintain target water quality parameters as determined by in-house laboratory analysis,” the document states. “We’re talking parts per million,” Lee said of the dosage amounts, adding he doesn’t expect concentrations to spike because they are based on maximum amounts needed to run the plant at peak output. Those concentrations will total 0.2 ppm, according to the company. “Tests will be run once the system is on line to experimentally determine the optimum target concentration,” the company said in its application for an injection permit. Critics aren’t buying those claims. Koohan Paik-Mander says the project should have required an environmental impact statement. 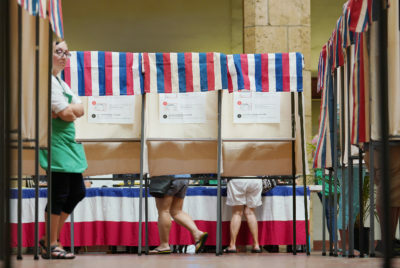 “They’re trying to hide what they’re really doing from public review,” Paik-Mander said. Rohr, who said she’s confident the plant will never open, maintains that tourists will no longer want to visit the Big Island if Hu Honua is allowed to go ahead with its plans to have 30 trucks deliver eucalyptus trees daily from Pahala and Hamakua forests to its Pepeekeo plant. “This will impact my business,” she said of a B&B operation located about 15 miles away in Hilo’s Keaukaha community. She questioned how much energy will be used and greenhouse gasses emitted from the harvesting and trucking of the trees up to 50 miles, and added she would rather see the trees shipped thousands of miles to China and used for making furniture. Rohr is also concerned about near-shore marine life. “That’s going to kill the bottom biota,” Rohr said of plants and animals she fears will be harmed by the heated water seeping into the ocean. The temperature of the discharged water will range from 82 to 88 degrees, according to information Hu Honua filed this year with its application for an injection permit. 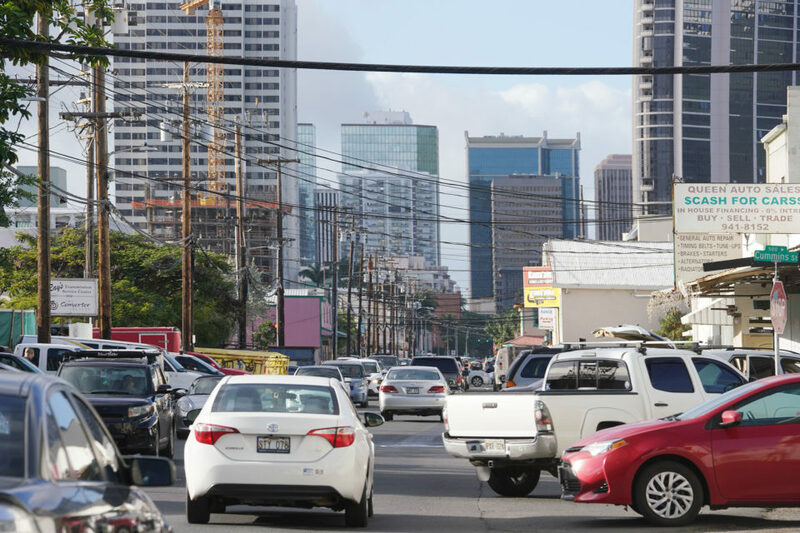 The plant is expected to help offset the recent loss of Puna Geothermal Venture, which had been supplying the island’s electrical grid with 38 MW of electricity, about 31 percent of the islandwide consumption. Lava from the Kilauea volcano surrounded the Pohoiki plant in May, and company officials remain uncertain when, or if, it can be reopened. Also, HELCO is seeking to buy 20 MW from wind or solar sources, company officials told Civil Beat in July. 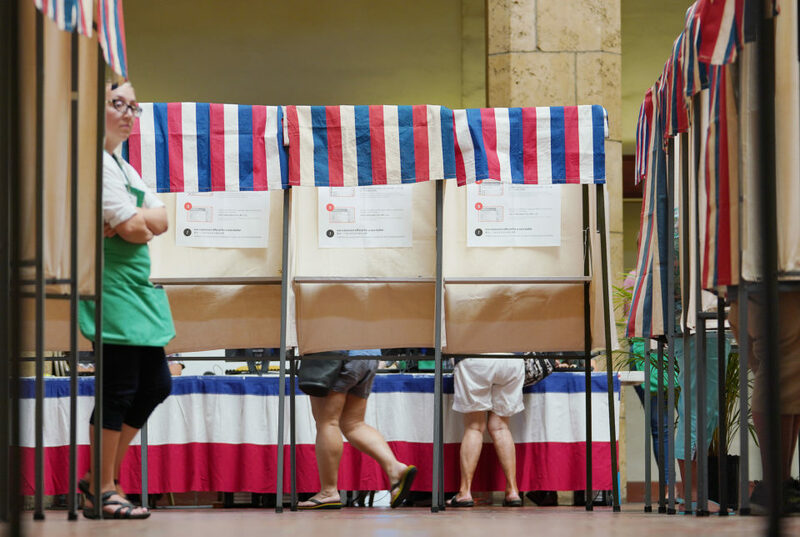 Asked their suggestions for meeting the island’s power needs without Hu Honua, Rohr said she’d like to see long-term solar storage, while Paik-Mander mentioned micro-grid and decentralization efforts. “I can live without electricity, but I can’t live without water,” Paik-Mander said.